Time has separated the 1980s enough where many of the old video games of yesteryear are slowly being forgotten. Collectors scramble to pay for an increasing market value for 25 year old games, but they are few and far between compared to the majority of those who at least remember playing video games as children or adolescents. There are a few I simply am not able to share the great memories I have with others because none of my friends are remotely aware these games existed. And yet, one remains on my mind after all these years that had me captivated: The Black Cauldron. 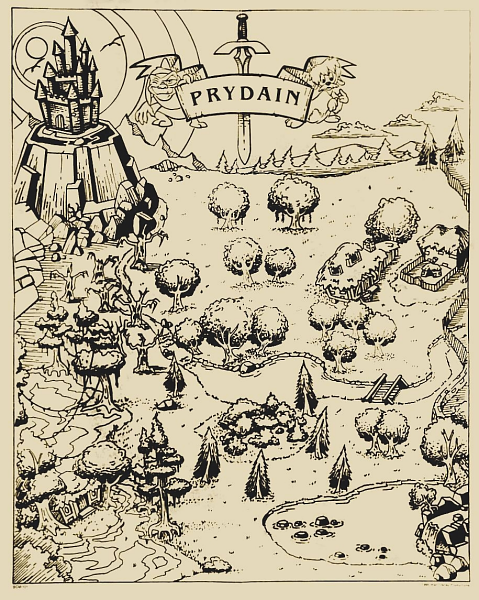 Some of you may recognize the name from Disney or even the book series by Lloyd Alexander known as The Chronicles of Prydain. Despite the movie being a complete flop (so much so that people lost their jobs at Disney after production), it still was adapted into a video game. The adaptation was a fairly close resemblance to the film but not the original books. Furthermore the game promoted several alternate endings much like LucasArts’ Maniac Mansion (though Sierra On-Line beat LucasArts by a year). Having seen the movie, the game is fairly straight forward though a bit of wandering is necessary to discover each key location. I was a kid when my parents got me the game for our Apple IIgs computer and had missed the opportunity to see the movie in the theaters since it was PG and was deemed too spooky for a 5 year old. So I struggled with the game as a kid. I was capable of getting to every scene in the game including some of the secret areas, but since I was in the dark from the movie or the books, I struggled to find a way to wrap the game up. The concept was fairly unique. You were on a farm set in a magical world called Prydain where you were in charge of helping an elderly man named Dallben. Among the usual farm animals, Dallben owned a pig that had the ability to foresee the future as well as locate things from time to time. It turns out that the rather evil king of the area known as the Horned King from having a skull face with antlers extruding through his hooded cloak is after this pig in hopes of finding the Black Cauldron. This cauldron has the ability to raise the dead to which the Horned King is wishing to build his army to destroy the kingdom. Your job is to protect this pig and deliver her to a group of fairies who are better suited for hiding her from the king’s scrying spells. From this point, the game begins splitting in different avenues depending on the outcome, which makes for a nice replayable game. If something were to happen to the pig, named Hen Wen, along the way, then the game changes to you needing to rescue her back. If you successfully deliver the pig (which if nothing happens will take all of about 2 minutes of walking), then you are able to have a bit more flexibility on what to do. Even going to the Horned King’s castle has options. You can swim the moat and try to avoid the crocodiles swimming in the green, putrid water or you can try to sneak in through the front gates behind one of the king’s henchmen. Because this is a Sierra game, there are points to be acquired by achieving various tasks. Depending on your choices, your final points may vary to where they don’t reach the maximum number (230 points). Because of the graphics being heavily pixelated for being made in 1986, there are more challenges than what the programmers initially planned on. (Speaking of programmers, Al Lowe designed the game who many of you may remember from creating Leisure Suit Larry). For example, if you are walking along a path that is set on the Z-axis, that is going toward or away from the camera, there is no real sense of depth as they drew the scenes on a 2D area using darker colors to signify shading. This makes it challenging to know whether you have walked passed the big crack in the ground or if you’re even with it. The moveable character does not scale to the depth of the screen. He’s just as tall in the foreground as he is in the background. Turning to the side to walk laterally may wind up walking into the crack. This was typical for a lot of adventure point-and-click games of the 80s, especially for Sierra On-Line games like King’s Quest. While it could pose for frustrating moments when you are already faced with a solid challenge, it was common enough to be accepted by gamers of the time. Pixel art was an enjoyable look back then because it was all we had to look at. These days, pixel art has become more of an appreciated art form knowing how tedious it can be. Like I said earlier, the game offered multiple avenues throughout the game and most notably multiple endings. This was definitely a unique feature for video games as most were linear at the time. You were presented choices not just at the end of the game but throughout that altered the ending significantly. Most of these choices were presented in the books although, of course, only one was ultimately picked. 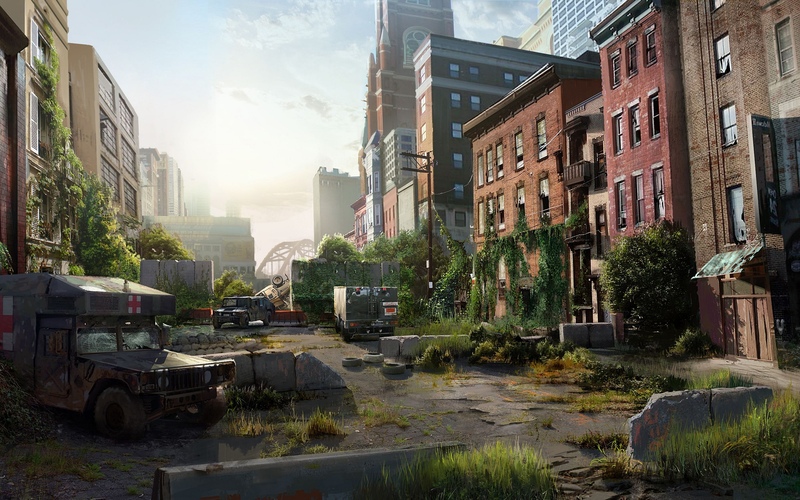 The game offers these “what if” alternatives to see how things could have played out. Because The Black Cauldron was a Disney movie, originally aimed for children, the controls were made extremely simply. For versions on IBM compatible computers, just hitting F6 was sufficient to “do something” in the game from opening a door to swinging a sword. Every action was F6. For the Inventory, I believe it was F4. F5 was to save and F7 was to load games. And that was basically all you had for controls besides movement, which was still being used on the number pad (WASD wasn’t around until Wolfenstein and Doom). Much of the songs that were featured in the film were converted to MIDI files and play throughout the game, which was a nice addition though mostly expected since the license to make the game was bought. The Apple IIgs version offered lesser quality songs than the IBM compatibles that were hooked up to a Roland MT-32 Sound Module. It is interesting to briefly note about the film for those unaware of the feature film by Disney. First, it was by far the worst grossing animated film Disney ever made (inflation considered). By far. It was the only animated film at that time to have a PG rating (a cartoon for kids having a PG rating….in the 1980s no less). Besides the other Disney animated film The Rescuers, it is the only animated movie to not have a single song sung. This is especially peculiar because one of the characters in the film is a bard (though he doesn’t sing in the books and doesn’t play the lyre he carries with him). The extremely dark overtones of the movie, most notably the Horned King and the Cauldron Born (undead skeletons garbed in medieval armor), kept parents from bringing their children to the theaters. Disney quickly rebounded as they would be expected to do by creating The Great Mouse Detective, Oliver & Company, and then explode with their colossal hits of the 90s starting with the 1989 release of The Little Mermaid. The game offered some fun surprises and hidden tricks throughout. There is even an Easter egg somewhere in the Horned King’s castle. It is a shame it was received almost as poorly as the film. Much like so many games of that era that were not mainstream or hugely popular, the game is nearly impossible to find hard copies (and those that are available are usually valued at a high price). Fortunately the game is offered online through a browser to sample it for yourself since it’s nearly impossible to buy the game reasonably priced. Click right here to go to Sarien.net, which is built for older games played through the browser. Enjoy. 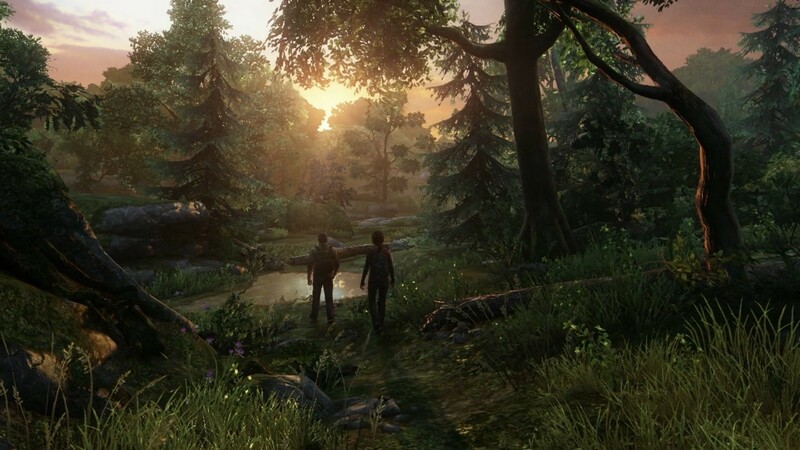 I don’t believe I have ever had such a change of heart for a game as I did for The Last of Us. I know, I’m late to the show, for those of you have experienced the game. For those who haven’t, I suspect the game doesn’t interest you enough or else you would have picked up a copy by then. However, I just played it for the first time, some 2 years after release, and I am surprised in how different the gameplay was compared to the initial demo video I watched prior to its release. Although I was impressed in the video of the detail and graphics, the atmosphere and aesthetics, it felt like the game played a bit too much into its cinematic role. I don’t mind setting the controller down and enjoying a good cut scene, especially after a very stressful part in the game, but it felt like I would move the character 10 feet and another cut scene would be triggered. I was completely mistaken and learned an old lesson again: don’t judge a book by its cover. It’s tough these days to really get an understanding of whether you are going to truly enjoy a game for the entire length of it or if it will be a fun 5-hour game that goes back into your stockpile, never to be launched again. I have numerous games that fall into that category. And then there are some games that captivate me from the immediate start of the game and drive me to completion. One such game was The Last of Us. I’m not going to bother going into details of the story because that’s really the point of playing the game. There are quite a lot of cut scenes (so many that the Main Menu has a list of them to view). It plays out cinematically for sure as a 15-17 hour long movie, broken down into 4 bitable segments. But inevitably I have definitely eaten my own words from a few years ago when this game was first released and receiving so much publicity and praise. I tended to look at it as more of a movie that had moments of interaction than a game that had elements of a movie threaded within. Generally I would rather have no cut scenes and complete interaction. Instead of breaking off for a short clip that bridges two scenes together, I’d prefer the game to break into the transitional movie in-game as I’m standing there moving around. Of course, we aren’t quite ready to make video games with cinematic-quality during the entire game. I don’t recall ever having initial negative feelings about a game and then changing them 180 degrees after I played it. The character acting was pretty good for a video game. There weren’t any Academy Award moments, of course, but for what we have come to expect in AAA games these days, it stands up to the rest. I think some outshined more than others. Joel, who is one of the main characters in the game and the one you control 99% of the time, has a rough personality with a monotone and deep baritone voice. Consequently this does not give much room for any dramatic acting though Troy Baker’s role. His role is quite excellent as the cold-shoulder attitude to the world. His rough sounding voice definitely makes you feel that he has experienced all kinds of horrific sights in his life. The game creates fairly good suspense, although I tend to become highly paranoid in horror games which lead to me doddling about unnecessarily too much. One thing about that I noticed was when there were non-player controlled characters accompanying you. You really didn’t know if something was going to be in this room or the next room, but if your companion following you is casually walking around looking at everything and entering the next room, you knew nothing was in the area. This kind of killed that sense of tension when it could have remained throughout. You don’t have to crouch and creep around inspecting each room at that point. You could sprint through the section if you wanted to. This was another feature when the game featured horses. When you are on horseback, you were 100% safe. The game doesn’t offer mounted combat, so they cleverly make it so you have to get off your horse and become separated from it before combat begins. It also kills the surprise as you begin to realize combat is coming up when the game forces you off your horse. On the flip side to that thought, you know it’s coming so the tension begins to rise since you are unaware of what is about to be thrown at you. There were a couple of moments where I enjoyed the initial concept of a specific scene but by the time that chapter was complete, I was tired of stumbling around almost aimlessly to find where I am supposed to go. 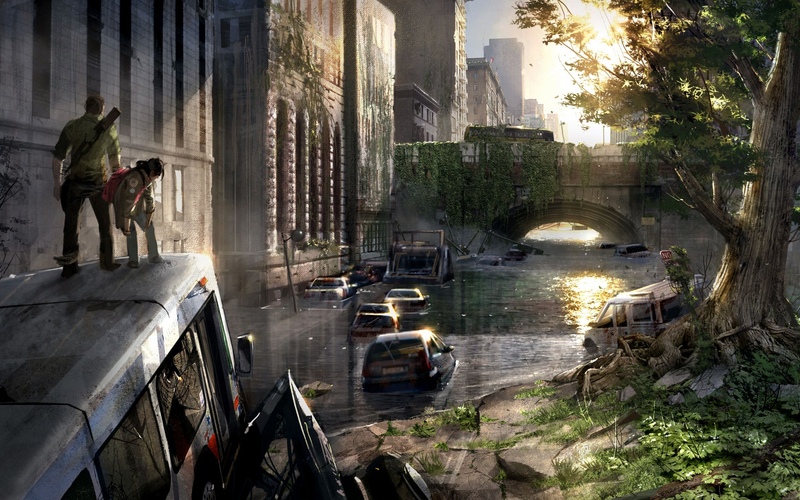 These include special environmental scenes where disorientation is meant to be a key feature. However, for some people it may become more of a hindrance than for others in that disorientation, much like in real life, may lead to unnecessary moments of wasting time. The immersion of the situation was almost too realistic they did it so well. There was a moment I definitely caught myself catching my breath having traversed through a particular nasty and difficult portion that had nothing to do with the threat of being attacked. Like many horror games that are respectable, audio is a key element, and this game holds its own. Ambient noises, proper echoing of sounds to make it sound far off but not too far off, and general sound effects of motion all tied in to the atmosphere. Even subtle sounds of whether an object landed on a solid surface or soft ground was considered. However, the character you’re controlling also has footstep sounds, and this sometimes causes confusion as to whether you hear someone approaching or not. Often I would have to stop dead in my tracks, swirl around 180 degrees, and discover it was my own feet making the sound. With an echo, it can make a fool out of you on thinking it’s caused by something else, which is excellent for deception. About 60-70% of the way through the game, having logged in about 12 hours, I began to think of movies that are longer than the typical 2-hour timeframe. The movies that have extended footage that pushes 3 hours or even more generally are thought to have more story involvement. Whether it is extra footage of scenes that dive into the meaning behind the shot more or just additional content to the storyline, these longer movies tend to be more popular among movie aficionados but not so much with the typical movie goer. With a “movie game” such as The Last of Us, it begged the question for me to wonder about a movie that went 15 hours long. We wouldn’t sit through a movie that long in the theaters, but we play games that long (or more). Specifically games that are focused on the storytelling rather than the actual interaction lead us through to the end where we look back and are blown away by the character development, conflict, and hopefully a resolution. We don’t beat these generally in one sitting, saving and pausing for another day. Production in video games are much cheaper than movies, so 15 hour long “movies” can be done, and typically a gamer will sit through that long of a film as long as there is some moderate interaction throughout. The Last of Us had me sit through a very enjoyable 15 hour long movie that left me wanting to play again to enjoy the story once more. It was that good. I would be curious to know, however, how little of interaction would be tolerated before a player would not sit through that lengthy of a game assuming the story line was as good. It has been weeks since you have seen a civilized person as you trek your way across the desert wastelands of Arubina. Your supplies are low, and your navigational instrument is becoming cloudy from exposure of the elements. But the dot that you picked up on the horizon three days ago has definitely formed into a humanoid as it approaches you steadily. There has been no warning shots from the target, and you have no idea if it’s friend or foe. However, something in your gut makes you feel your luck is about to turn as a reflection of the person’s glasses catches your eyes. Finally within range, you show a broaden smile that fills your entire face as the group’s old friend, Masterson, approaches with a canteen in hand and outreached towards you. He smiles and says the gods were guiding him to a place in need and he has arrived. It has been a long time since you all saw him, but great memories come back from when you all were younger and inexperienced adventurers and how he saved your lives more than once. What I like to call “Roleplaying GMs,” that is those who lean more heavily to RP than combat, thrive on NPCs. I consider myself one as it is the only time I am able to enjoy role playing. So when I make NPCs that I create to last more than a brief encounter, I put as much work into them as the players put into their characters. What’s more enjoyable is when you make an NPC the players not only remember but brighten up when they encounter them. That’s when you know you’ve done your job on making a memorable NPC. But what does it take? Well personality goes a long way as Jules says in Pulp Fiction. Whether they are liked or disliked, if they have an interesting aura about them, they capture our attentions better. Instead of tavern owner being just friendly to the party, he personally flips over patrons onto tables who are misbehaving or tries not to pay their bill. He could have minor magical powers such as levitation that allows him to float glasses and plates of food across the room. He could be acrobatic and handwalk trays on his feet to the table. Perhaps his background involved assassinations that he seldom talks about (or boasts about) that everyone knows. These things give an NPC more life and attraction to want to know more. Another area to consider is motivation. If he is just someone passing through with no particular reason other than getting to another city, well then he will be soon forgotten. 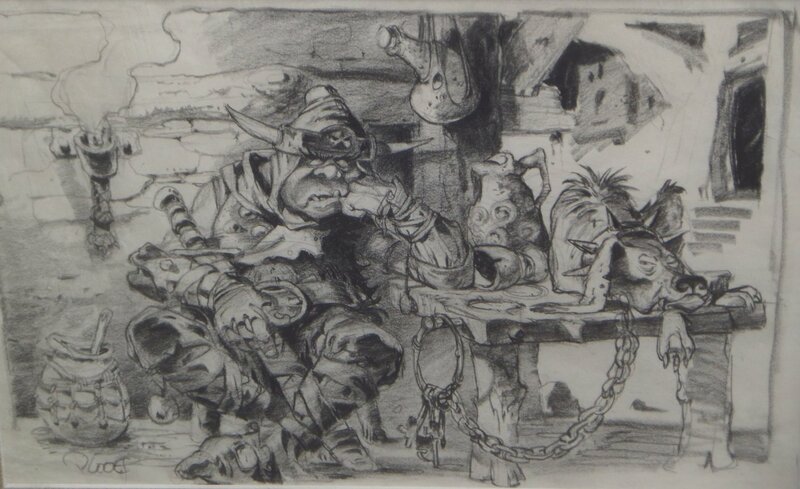 Make the NPC a merchant who collects and sells puppets, some of which are magically enchanted to perform basic tasks. 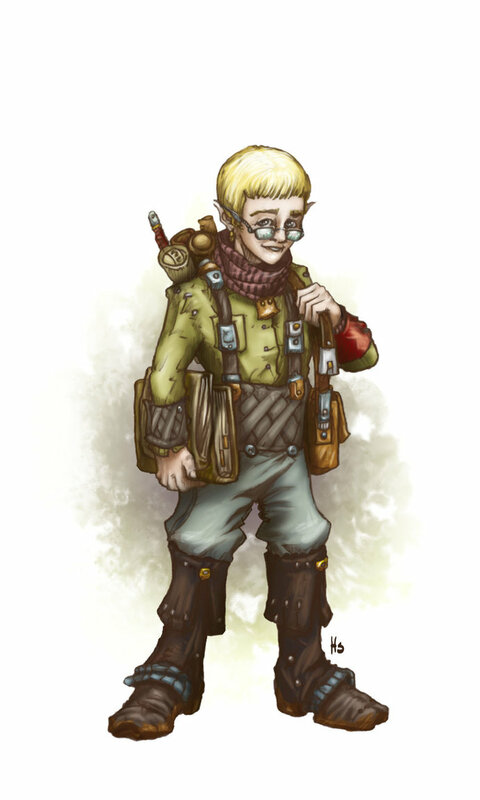 Being a traveling merchant with that kind of uniqueness to his business would make a lasting impression on the players. You can occasionally keep the thought of a favorable NPC on their minds by showing signs or hear of their presence in recent past traveling through the area. Having them see a puppet carrying a tray of food in a tavern in some distant land brings the merchant back to the player’s minds, gives them an understanding of the merchant’s expansive territory, and also creates a more believable/alive world for your campaign. If you have a villain, or just an all-around jerk, consider what drives them. They might have multiple motives besides the grand scheme of things. Instead of just being hell bent on dominating the world, perhaps they have a desire to find a seat in a council committee in order to promote a change in city laws. Another option would be for a jerk attitude ruffian to constantly wish for a party member to look bad or screw up in an effort to provoke him. What he does isn’t illegal and would constitute the party member going to jail if acted upon violently. Having an annoying character show up at the worst times to cause issues can still be a memorable NPC even though they aren’t favorable. If you can make the players groan and grit their teeth when they run into the same ruffian 3 months of actual play time later, you have definitely done your job well on creating a solid, believable NPC. Perhaps the NPC has an unique ability; perhaps they are mysterious. A lone traveler they run into every once in a while who gives cryptic words of wisdom that eventually makes sense when future events occur could be someone they remember. Complete the mystery and lock in the memorable feature by making the figure have an unusual appearance. The traveler has ram horns that are a part of his skull but is not a demon. Or have someone always wear a mask but never talk about why or what he’s covering up. The element of wonder will usually keep their thoughts on the subject for quite a while. They might have the ability to teleport short distances at will. Perhaps the individual is a talented illusionist who always alters the appearance of reality when present. In fact, the players would automatically begin recognizing his work if their environment suddenly shifts without warning before he makes an appearance. Again, you have successfully created a good NPC if telltale signs or initial warnings remind them of the NPC without the NPC being there. 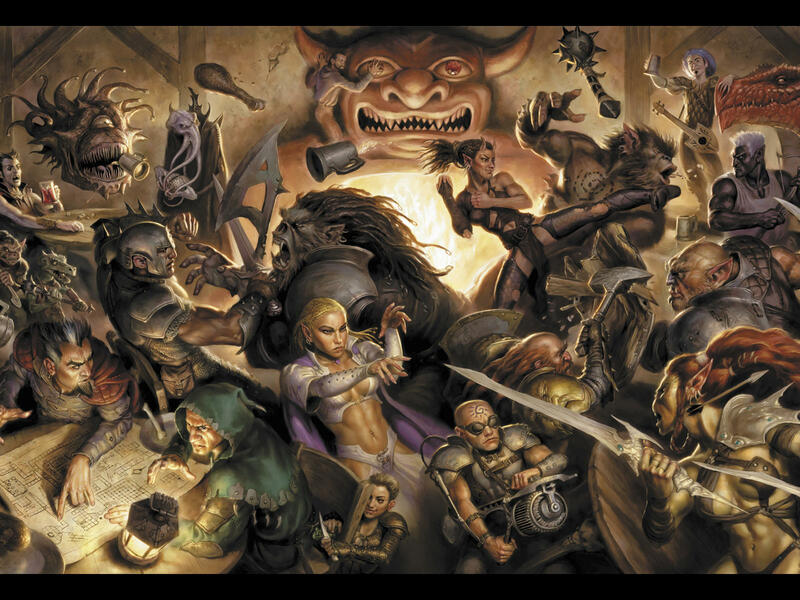 It may come to the party enjoying the company of the NPC for a while, feeling reassured because of something they can do or the talents the NPC possesses. Having a sharp shooter with you, knowing their eyes are better than yours, makes for a less stressful moment as you travel through the forest, knowing that you’re being hunted by something. 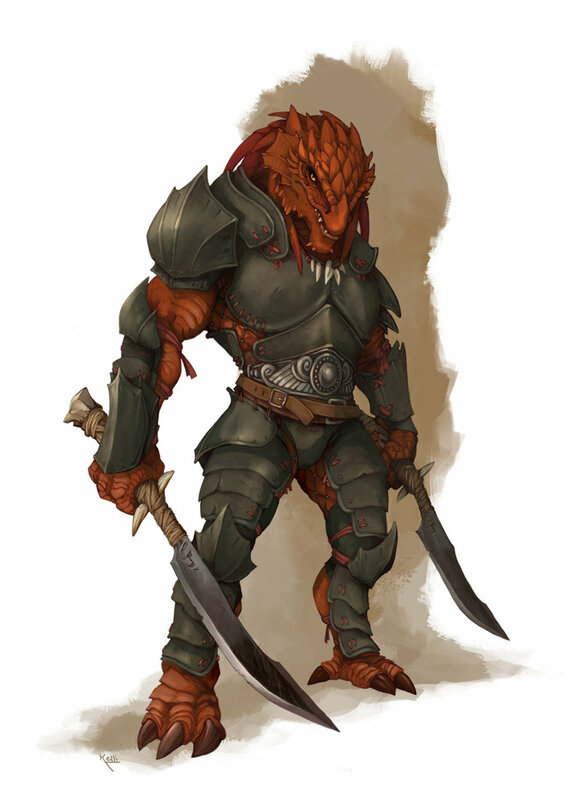 In moments of desperation or dread, when all hope is lost and the fate of the party seems to be doomed, the sight of an old friend in the form of an NPC can make the actual players breathe a sigh of relief at the gaming table. When the NPCs become close to the players, when the party thrives off their presence, and when they treat the being as if they were a part of the team, you can really utilize the situation for more flavorful moments. Put the NPC in harm’s way to get a reaction out of the party, often making them act in haste, which creates mistakes sometimes that the GM can take advantage of. Rushing into a dark room when they hear their NPC friend cry for help can lead to their demise or the trap you wanted them to fall into. As I mentioned in Episode 40, “Never Surrender!”, having that NPC relationship can aid in persuading the players to surrender a battle rather than fight to the death if the NPC is in jeopardy by the opposition. They can be used to spark an adventure by having the NPC fall to a disease and needing a remedy that is difficult to obtain. 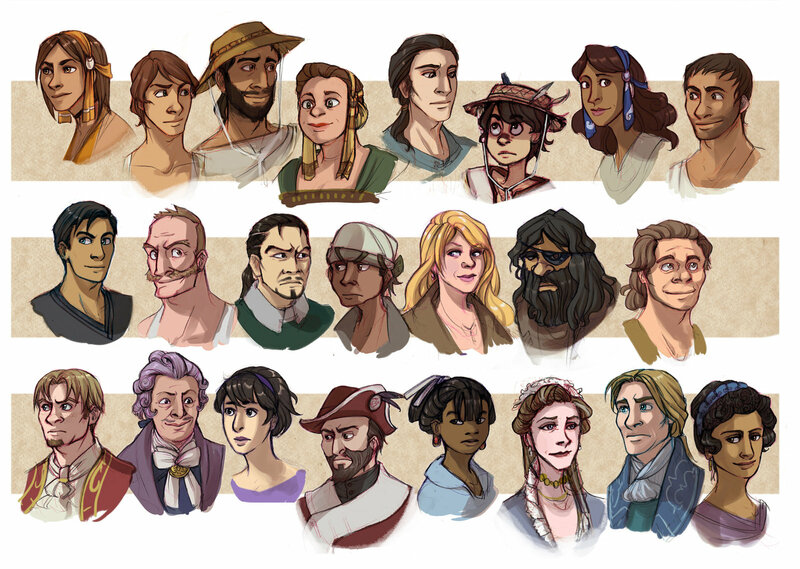 When you build up a nice library of NPCs, it will probably be wise to have a small document with notes of each to keep track of them. Make notes of how the party interacts with them, especially if they make a request or do something special that might lead to the NPC changing in some way or needing to do a task for them. Have NPCs interact with other NPCs that are favorable both in passing and at separate timelines to bring more life to your world. One NPC mentioning they saw another pass by not long ago will make your players feel like they are in a living, breathing world again. Things are happening elsewhere, throughout the world while they continue on their journey. Treat your NPCs like you would that fresh, new character you roll up as a player, and enjoy the involvement the party takes in them. You scan the terrain, looking for an escape route, surveying the damage of your party as they all lie battered, bruised, and beaten by the oncoming force. The enemy’s scouting report was priceless as they knew precisely where you would be most vulnerable to their attack. But it is clear they wish not to kill you as all of your companions still lay breathing. Their captain pushes passed his comrades to the front line and addresses you cordially, commending you and your party for the gallant effort and ferocity in battle. However, he offers a choice of surrender in assurance no harm upon your capture will come before you. Although his superiors did not indulge the reasoning for seeking out their capture, he swears of his warrior’s oath that they will receive no pain including proper nutrition. He looks at you for your response. And with your eyes narrowing and the grip of your sword tightening, the captain knows your choice is to seal your fate. He sighs at this, understanding as a warrior your reasoning behind your decision but saddened by it. The rest of the enemies are signaled to finish the job. As a GM, and even as a player, there is one thing that I really enjoy experiencing in a session: captured as prisoners. I seem to be one of the few out there who plays RPGs who enjoys facing adversities and hindrances to my character throughout. Although I do enjoy finding power eventually through the struggles, I hate being handed gifts of power too easily and often. One thing that really strips the character down to his core is being held prisoner. It’s a fascinating concept that basically never occurs in RPGs. People who play RPGs tend to not understand that although your character can die at any moment, if your character is alive, no matter what happens, the campaign continues. They often feel that if anything ill happens to their characters, they automatically lose the character and either hand it over to the GM or throw it in the trash. This is not the case. Ever. It should be preached more often by GMs to their players. This always leads to the “fight to the death,” mentality that drives me nuts as both GM and player. If your character triggers a trap that ends the character in a perma-death, you aren’t going to be too happy about it. You lost that character. It’s gone forever unless the game offers a resurrection spell of some kind. Otherwise it’s gone. If you go up against a giant and you are killed because it dishes an obscene amount of damage on a critical to your head, your character is gone for good. It’s not coming back. So why in the world would you deliberately choose your character to be handed over to the GM, permanently, to avoid being captured? It is ludicrous at best. Some of the most amazing stories ever told involve prison breaks. The Count of Monte Cristo immediately comes to mind. Movies such as The Dirty Dozen and The Great Escape and TV shows like Mission Impossible are filled with excitement and suspense. These are just as exhilarating as any other action moment in a RPG. For some reason, the majority of players I’ve faced at conventions and at home are against it. I’m not completely ignorant in realizing that players feel their freedom of choice and power in the game suddenly becomes limited and in control of the GM. However, this is but a moment – the moment they are captured. From that point of actually being captured it immediately shifts back over to the players’ control. It is entirely up to them to break themselves free. They are always in power of their actions and abilities to get out of danger, including imprisonment. Just because you are in a cell, doesn’t mean you can’t get out. There have been hundreds of prison breaks throughout history, some successful, some not. So it is not out of the question for characters that are built to be larger than life to be successful at it as well. A few things need to be taken into consideration, however. First, players need to be told up front, before the campaign or adventure begins that unless their character is completely permanently dead with no chance of resurrection, the game will not end. Explain that throwing their characters away foolishly should be reconsidered. You don’t have to come right out and say “if you guys get in over your head, surrender.” I would never plan a session where my idea for a story is to overwhelm them to capture them for a prison break. I would, however, gauge encounters correctly with intelligence where it is necessary. Humanoids may not want to just randomly kill. Those with intelligence may not want to know why the party is in this area or why they are trespassing into their home country. Not every monster is meant to kill, especially those with above a low intelligence. Curiosity can be more powerful than hostility. Approach a possible surrender moment with dialogue. 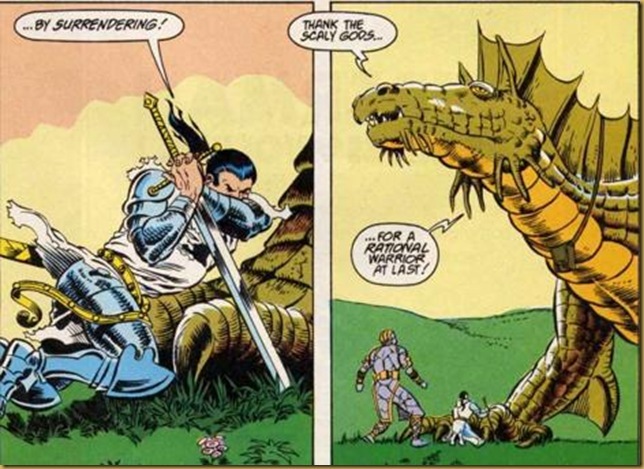 Don’t expect players to surrender or yield when your villain merely points a sword at them and demands for their surrender for no other reason. Describe to them the need to capture beyond questioning. Perhaps it is only for the enemy’s protection to make sure the party isn’t a true threat or their intentions are good. Use the idea that there is a greater foe in the vicinity, but they must be cautious with the party to make sure they won’t attack, so they are taken prisoner but treated better than a typical prisoner would be. Sometimes you can use NPCs to convince them to surrender such as when that NPC is captured or threatened to be executed if the party does not surrender. But when this rare moment occurs, make sure you give them a great experience as prisoners. Be flexible on their actions, reward them on their choices. If they are stumped, give them hints of what they could do to get out (a loose stone, a hairpin, a lazy guard). Make sure they are able to retrieve their gear! Or, if the gear isn’t particularly amazing such as a longsword +1 (devilish longsword), place replacement items that are slightly better than what they had in various places during their escape. Reward them with new information that might pertain to one of the character’s story arcs or the overall campaign story. Give them an ally for future encounters. Have them stumble upon a secret that the group that captured them are unaware of (underground tribal fortress, abandoned temple, holy relic that is buried in an unmarked grave). And finally, make it heroic and suspenseful by keeping the pace high. Once they are out of whatever is holding them imprisoned (cage, magical barrier, etc. ), speed up pace by having them constantly chased or followed. Guards will quickly discover them gone and begin searching. They might be spotted and chased for a bit until they lose their tail. Give them a scene where they feel they have to catch their breath for real when the scene ends and they are safely out of harm’s way. Generally being captured will never happen as too many players loathe this for some reason. Perhaps give them homework to watch a few prison break movies such as The Rock, Shawshank Redemption or Escape from Alcatraz to see if it sparks any interest. If they talk about how clever it was for the escape to happen, then it might be something to consider in a future encounter instead of creating a TPK. When we last left off, Grothbeard had buried his axe into the head of the tavern keeper, suspecting a doppleganger. However, when the man didn’t revert to its natural form after death, questions arouse on what to do to Grothbeard for his murder. He was placed in jail with the rest of you compiling a plan to break him out of jail before his execution scheduled tomorrow morning. The death hour is rapidly approaching as you have spent most of the night scheming. Grothbeard will have to wait to see if your hours of planning were worth it or if Jim will need to reroll a character. It is no doubt that we all have different levels of aggression on our own personality and character. Some of us are outspoken, brandishing whatever is on their mind, sometimes before thinking it through thoroughly. Others are hesitant to speak their mind, often worried that whatever they say might not be accepted. We have those who will always agree with someone and follow their lead no matter what. Despite the theory that after 7 billion people on Earth, we start becoming more alike because the random options are running out, we still have very different behaviors. This makes for really interesting sessions of roleplaying games. Traditionally we are set up as a team to accomplish a goal or goals. We may never have met before yet we naturally fall into an acceptance throughout our game that allows us to work together. Sometimes these roles clash, especially when you get a table full of aggressive, know-it-alls who want the spotlight on themselves nonstop or when the entire table is full of passive players who are too shy to make any decisions because they affect everyone at the table. We as GMs should play to our players’ strengths. It is considerably tougher to recognize this quickly at conventions when we have but a handful of hours to finish our game, and that generally is left for more experienced GMs who are most observant. I have played in games where the GM is merely going through the routine, running the game, offering very little option or flexibility based on playstyle, almost ushering us through the 4-hour ride. When we know our players better, we can use that to our advantage by curving the form of play to better fit their desires. For example, the shy person who really doesn’t feel comfortable with the spotlight constantly on them shines brighter when the focus casually shifts to them for a short time. We round out a particular encounter or situation in our game that reflects something that character can really shine on, even if it’s merely something spoken. If they are a quiet bard (perhaps they are shy poet writers with a talent for playing the flute and not singing), then provide the opportunity for them to pick up and play a strange instrument that only they know how. Allow them to focus one of their skills or strengths, such as understanding a strange language on the fly, so they can speak up, roll dice, interact with the situation rather than sit back and watch the rest of the group take control. Be quick to be polite but firm if one of the boastful or outgoing players wishes to do exactly what your quiet player can do. Bring about the option for the outgoing one to offer assistance, but maintain the focus back on the former player. Main characters are definitely memorable. We often will think of those individuals most in a story, but I guarantee you can think of a few stories where a supporting character has stolen the entire movie or book. They have their moments, short and burn brightly. They may not speak up much, but when they do it’s memorable. One of my friends hardly ever talks unless you speak to them first, but he has the uncanny ability to quote a movie that fits the situation perfectly. Those are those moment s we tend to think about more easily. Your campaign need not continuously having the plot-drivers, those who speak up most, work each session. A good GM will have an over-arcing campaign that will take numerous sessions to unfold, but each session will be a focus on an individual character’s personal campaign. These need not be one-session fillers. There are no rules restricting multiple campaigns going on at the same time; each character can have their own campaign. The bard may be wishing to acquire the One Truth, whatever that is, in order to complete his Fantastic Opus and graduate from his college. This is something that is a grand-arc, spanning several sessions that doesn’t have to be in succession. Give the players another chapter in their life, but then leave them wanting more as other characters’ chapters are written in the next few sessions. It assures the players are all getting their moment to play and hopefully develop their characters into more 3-dimensional entities. It may help to understand if players wish to be more of a driver of the plot or a support character. Do they enjoy giving aid to the other players, assisting them in various skills or do they enjoy taking the reins and taking control of the situation? Do they prefer to wait for the golden opportunity to save the day, or do they like being the savior champion of the group? If the player is completely bashful and having difficulty finding their voice, roleplaying games can be a wonderful exercise for them, but it may require some work from the GM. Usually I will give them small moments where they give only simple suggestions or solutions that allow them to talk but for a few seconds. Putting them in a spot where they must role play dialogue with some NPC that holds serious water to the campaign is just asking too much at first. Lead up to it by setting up moments that are simple but still meaningful such as negotiating for a few gold pieces less on their purchase. 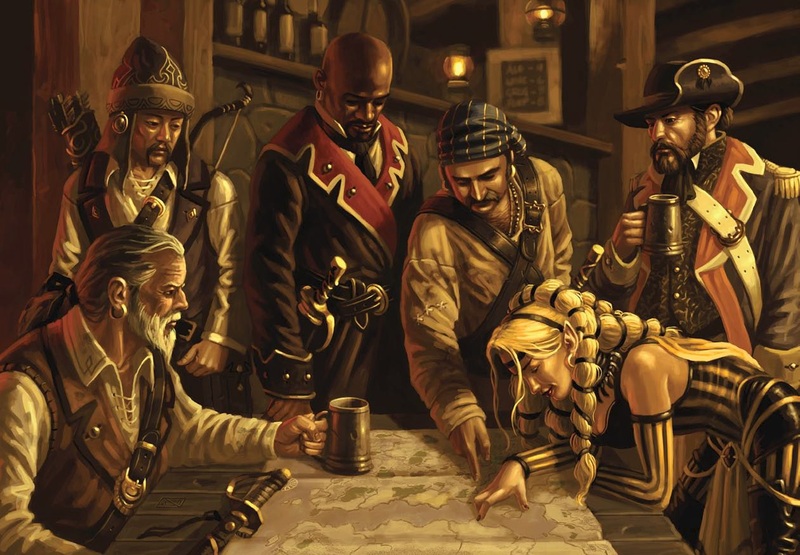 Instead of hoping they speak up to haggle, as a GM, have the merchant vaguely recognize the character from news of some past achievement such as freeing a village from an attacking giant. 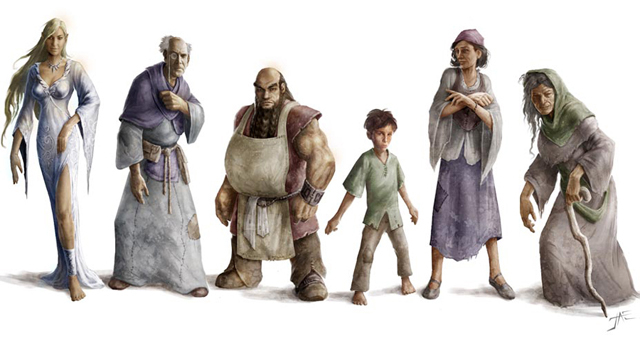 In character, ask their character if they promise to use the merchandise in future adventures, the merchant will allow the character to give them an offer on the merchandise. Be flexible when working with bashful or shy individuals on their decisions. It is a matter of building up their confidence in the game itself, reassuring that their decisions are not necessarily always detrimental to the party’s safety. Keep an eye on their body language. Often times they will show signs of having something on their mind, but are either hesitant to speak up or are overshadowed by another person blurting out constantly. When you pick up these signs, don’t stop play and pointedly address the person. Instead, try calling for a random roll (it can be completely made up, just don’t tell them it is). First, this shuts up conversation if there was one of anyone wanting to dominate the situation. Second, you can then pass the choice over to the bashful player, either having an NPC ask if something’s on their mind in character. Sometimes our roleplaying side lets us bring out our confidence and inner personality by using it as a “shield.” We are in-character and not merely talking person to person. It’s all fake and pretend, so it might become more comfortable for the person. If all else fails, merely write a note to the player asking what they wish to do, delaying the game enough time by having the rest do some fake rolls (“I was just having everyone roll to see if anything popped up, but it was uneventful.”). Understanding your players and catering to their strengths and weaknesses marks the sign of a seasoned GM. We are here to tell a story, but the stories are not meant to be one-sided intended for observation only. Interaction and immersion is the point of playing a role playing game. The stories need to be built for the characters because they were specifically selected by the players. They are unique compared to the rest of the world as are the unique people driving them. Find ways to keep everyone involved without being blatant or pointed to avoid embarrassment, awkwardness, or hesitancy from the players. Offer moments that favor each character to give them their moment to shine in between those who hold the spotlight directly at themselves. Having recently returned from the world of the Old West after liberating the mysterious Kung Fu from jail, you now face the next chapter in your journey. This time you are needed in 945 A.D. along the Norwegian Sea of planet Earth. An expedition is about to embark north into the frozen Arctic Sea, but scouts have returned with tales of colossal beasts that are lurking just below the ocean’s surface. Your equipment will be provided to reflect the time period, but it will be up to you to gain trust of the clan’s leader to lead the expedition. Rumors have spread from the scouts’ tale of a giant cyclopean eye four times the size of their longboats that currently sleeps. It may be the slumbering god you have been hunting through the cosmos. Personally I don’t like running long campaigns because I run out of steam and ideas. It takes time to run a proper RPG. 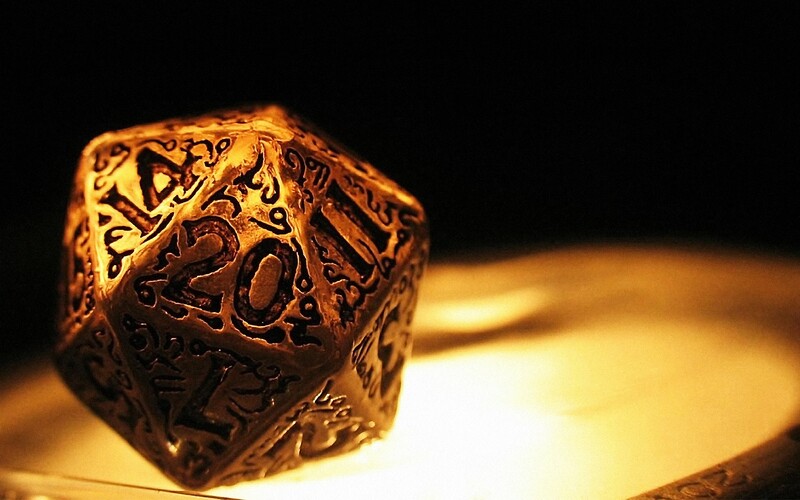 You may feel you can pick up your dice and just adlib the entire session, and that’s fantastic, but if you are meaning to have a decent plot, encounters, well-developed NPCs, and bridges with the characters’ background, you’re going to have to do some prep work. Unless we have literally nothing to do every day, finding time to take notes and get them prepared for next week’s session seems to always be put on the shelf for more important, real life issues. Generally I prefer to go on short, intense campaigns that last 3-5 sessions maximum. 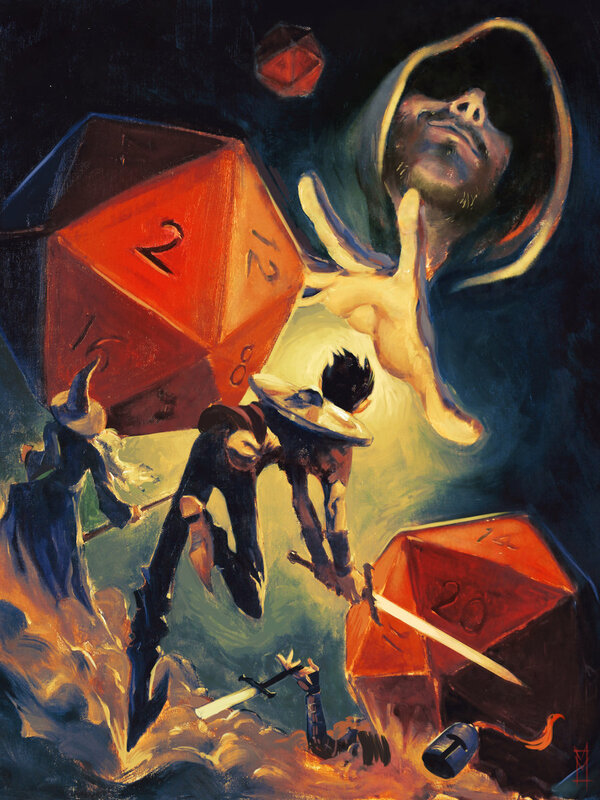 However, there is one concept that I’ve used with my friends with fairly moderate success that will allow for much longer campaigns: Rotating Dungeon Masters. Perhaps you have already tried this. The idea is simple: every session or every couple of sessions, your role as DM changes to another person in the group. You take control over your character, and the player assumes role as the DM. That person then runs the session or a few sessions before they temporarily resign their role and resume their character. You continue enjoying your character and playing the game, free from having to come up with an idea of what to throw at your party next week. Eventually your turn as DM returns, but you have been able to play for several sessions to rejuvenate your imagination. While you are the DM, your character will take the support role of an NPC or simply wander off for a time before meeting up with the group at a later date. Now the concept may sound easy, but making sure things run smoothly between DMs requires a little planning and setup. First, there is the issue of “DM Secrets.” These are the plot twists and storylines the PCs haven’t discovered yet. 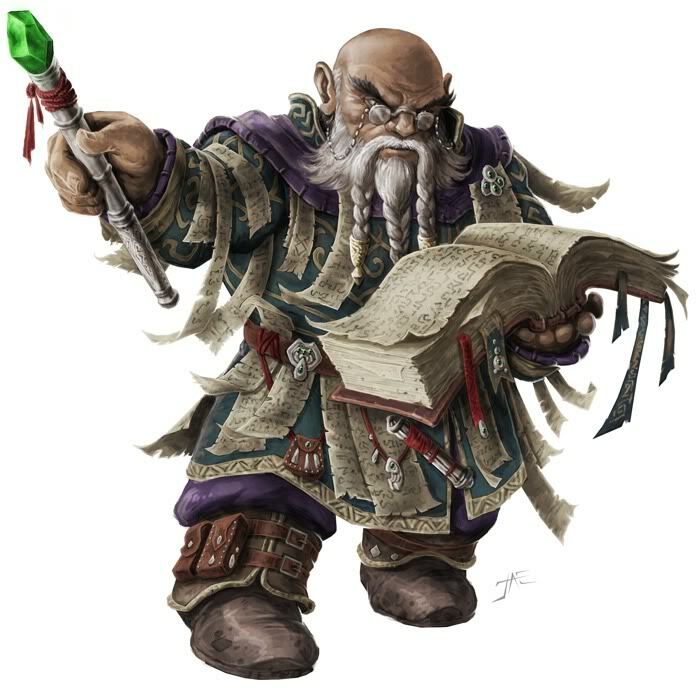 As a Rotating DM, either the secrets that carry over must be ignored by the next DM, or you must resolve that secret for the PCs before you resign your DM role. For example, if the PCs don’t know one of their traveling NPCs is secretly a vampire spy sent to assassinate one of the PCs, either give enough hints or opportunity for the PCs to discover the truth or keep it secret and hope the other DMs don’t thwart your plan by killing him off. Essentially don’t carry over huge plot events between now and your next role to avoid having things blow up by an unsuspecting DM. Feel free to run a few sessions before stepping down in order to finish those story arcs. Unless agreed upon, your session (or anyone else’s for that matter) should not hinder or restrict the next DM. If your game runs through the frozen wastelands of the north, the next DM should not be forced to make an adventure progressing down to warmer weather. Assume between each session a bit of time has passed. It won’t be critical, and it should not be so much so that the PCs age significantly. It’s more like the episodes on a TV show like Hercules or Xena where each episode took them to another location, yet they never aged. Allow for story immersion to fall on the current DM’s desire. Having a Rotating DM has another benefit that can be utilized. If the group is seasoned players, consider dimension traveling. The players are a part of a central hub that bridges any dimension in time and space. They are capable of journeying anywhere, but they have to remain restricted to the technologies and advancements of the time. Perhaps using the Prime Directive as a Golden Rule. 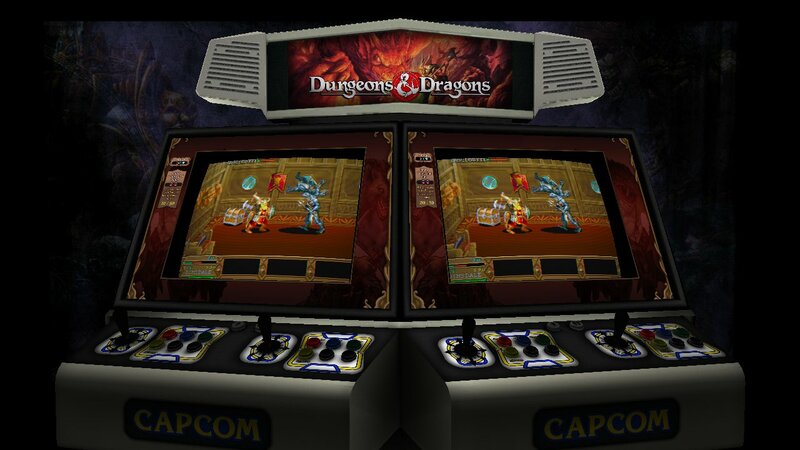 This would allow for any of the DMs to run any RPG they wished. Not all of us enjoy running a traditional medieval fantasy RPG. I personally prefer running 1920s Call of Cthulhu. Some might enjoy running a game of Deadlands. But then how do you deal with character sheets changing each week? The easiest is to plan out what settings each DM is interested in running and create characters for each. Assuming you don’t have a Rotating DM class of more than 4 or 5, it shouldn’t be out of the question to handle. For advancement, you can eliminate experience points and award levels based on the number of sessions. To reach 2nd Level, you must complete 2 sessions. Each character should be leveled at the same time to reflect the individual character’s progression as a person. Skills and various abilities would transfer as close and reasonable as possible. Some abilities will not be available in certain settings such as magic in a modern world. That is just part of the uniqueness behind this option. If you are in a group that insists on divvying out experience points, then some conversion or DM “creative license” must be implemented. Assign a list of XP per level like you see in many advancement RPGs and adopt it to every setting that offers leveling characters. Generalize XP rewards that reflect similar situations to those rule books that are laid out clearly. For example, if the party kills a Wendigo in Deadlands (which offers its own format of XP) and you want to utilize Pathfinder’s XP advancement track of medium, then merely take an educated guess as to the difficulty and XP value based upon your knowledge of Pathfinder. This method is far more tedious, less exact, and can lead to arguments if the party objects to the decisions. Personally eliminating the XP system and merely rewarding them advancement in leveling per so many sessions is the easiest to go. There are some exception rule systems that don’t offer 20+ levels to advance such as Deadlands who only has 4 (I believe) or Monte Cook’s Numenera that would have to be taken in stride. Simply take a moment to reflect the maximum levels for each setting, if offered, and set up a ratio. For every 5 levels in Pathfinder, you go up 1 level in Deadlands. Numenera currently I believe has 6 levels, so every 3 levels in Pathfinder. Again this is all done before you begin the campaigns, so a simple chart on your character sheets will help you identify when your character advances. The benefits behind this concept are considerable. First, you don’t get burned out as a DM. You remain fresh by only running a few times then breaking to play as much or more often. Your creative juices get reenergized by playing more and listening to other DMs share their stories. Everyone participating gets to experience what it’s like being a DM without tackling a long, drawn out campaign. Even newcomers can try their hand here by running a one-session adventure to see if they enjoy it. Rotating DMs also creates a new group each session. You’ll have one new player in your particular group to change play style up a bit. This allows for different relationships between characters, different reactions and behaviors, and completely different experiences throughout the campaign. Finally, you get to see a different style of game every week as we all DM differently. One person will run an over-the-top fantastical session followed by the next person running a modern horror followed by a session in Rome. It may all remain in one setting but shift regions from tropical to tundra and offer more roleplaying opportunities one session and nothing but combat the next. It’s a unique approach to a system that has more traditions than anything. You do not reach for your Warhammer. You reach for Aeichioch Bone Shatter. The same weapon that did not fail you while battling at Hemshire. The same weapon that landed the death blow to Captain James Mastifson upon twilight. Yes, Aeichoch Bone Shatter has been your grip of steel since your first days as an adventurer, and you need not dream of a day without it for that day shall not come. You will lay in your grave at the end of your day still clutched to the mighty instrument. Swing with it effortlessly as you face your truest opponent now and rest assured with Aeichoch in your hands, you shall not perish in battle. For years, magical weapons and armor were merely described as a numerical value, usually from +1 to +5. These were used when rolling dice to know how much was added to the roll either to achieve a successful hit or the amount of damage. Either way, we brandished longsword +1 or composite longbow +3. The number is necessary, sure, but when roleplaying, you have absolutely nothing to go on by having a +2 on the suffix of the name. No one would yell out “Beware of my +3 longsword!” except out of character at the dinner table. In terms of gameplay and story enrichment, it’s a terrible thing to blurt out. Bring on the adjectives! Bring on the full names that represent our choice of weapon. Much like Roy Hobbs named his baseball bat Wonderboy in the movie The Natural starring Robert Redford, when you name anything, it immediately becomes personified and personal. It takes on its own character and becomes more meaningful. A teddy bear is just a teddy bear until we give it a name. In some RPGs, you may experience moments where magical weapons or armor comes into your possession, sometimes fairly rapidly from encounter to encounter. Yet how often do we drop our current magical weapon for another one when they both do the same damage or enchantment? It usually takes a bit more to convince us to let go of our weapon because, why? What difference does it really make if we are wielding a longsword +1 or a battleaxe +1 other than the latter has a higher critical damage threshold (per mainstream modern RPGs)? We may want to switch to a bludgeoning weapon instead of a piercing one, but those decisions are based upon facing a specific kind of opponent. But ignoring the various nuances of weapons of choice, when it comes down to it, we want to be excited to have whatever weapon that is in our hands. Whether it’s a special magical staff or a giant scimitar or a bow made of a rare material, it needs to have reason of why we chose it among the rest. Unless we are just going to leave our decisions to the fate of statistics and damage values, our selection should have more flavor to it. Instead of calling a battle axe with magical properties battleaxe +1, give it an adjective to go with it. Splintering Battleaxe, Earthshaking Warhammer, Bonechilling Longbow. It still is a magical weapon, and under a microscope it still has the proper numerical enchantment tied to it. 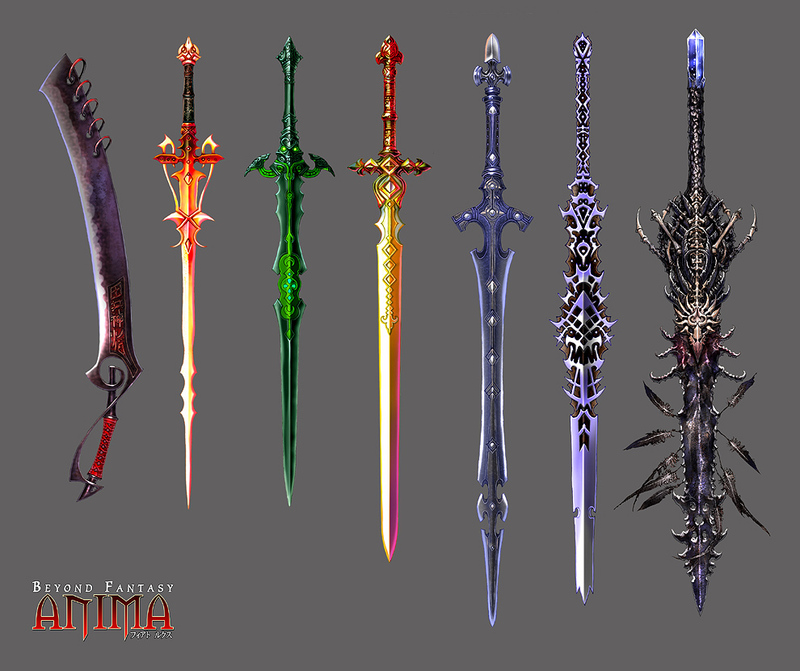 However, it is referred to a more proper name to give it a richness about the weapon. Confusion would set in if the descriptor was added as a suffix to the weapon because there are specific named magical weapons that have special abilities beyond just a numerical value such as Longsword of Wounding. Avoid the use of some adjectives that are commonly used in reference to them already such as Holy Avenger. Instead, lay out a set list of specific names referring to the various numerical levels of enchantment. 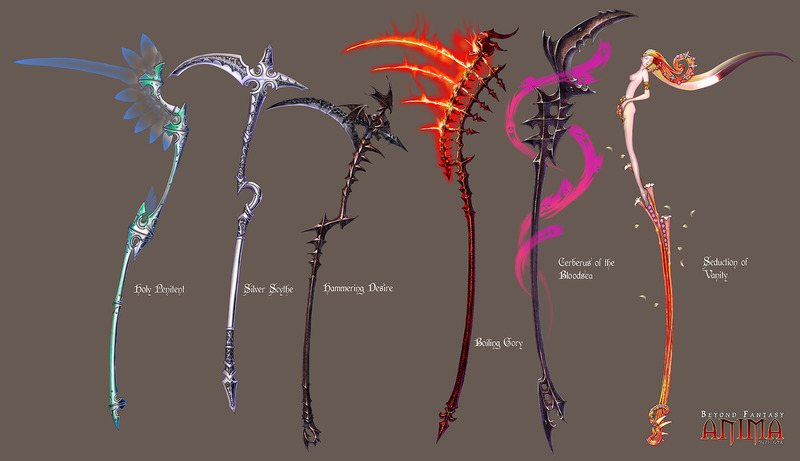 For example, any +1 enchanted weapon would earn the prefix devilish, to which it would be a devilish battleaxe. It would automatically register in your mind that a devilish longsword would be a +1 weapon. Likewise when acquiring a longsword +1 it would be referred to as devilish longsword. It eliminates the wording of +1 that retracts you from the immersion. 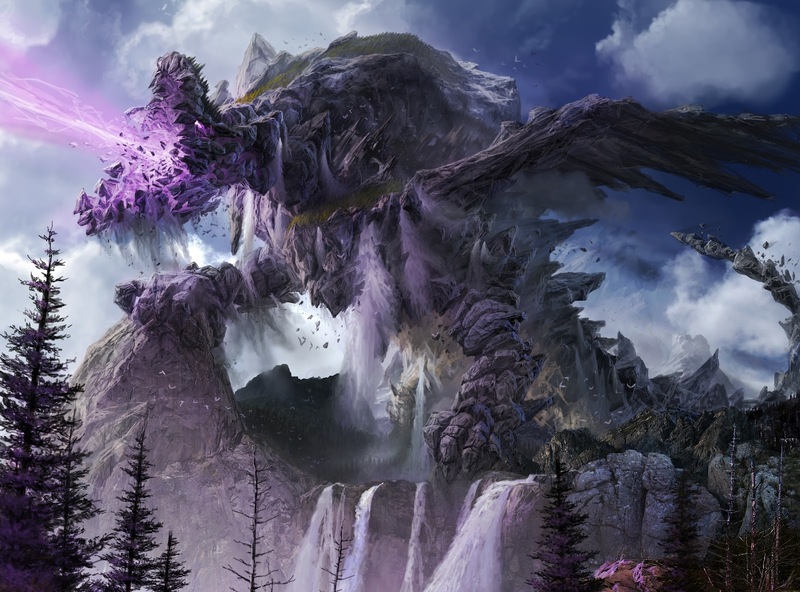 Typically magical enchantments range between 1 and 5, so only a few names need be created by the GM (or with the player’s help, which will connect them better to the game). Once they are established, they should not be changed throughout the campaign or adventure to avoid confusion. Here are just some suggestions. It could take a little bit to memorize all 5, but the process is a slow progression as you level you characters and become more exposed to the next “level” of enchantment. It should be ample time to adjust to the reference. 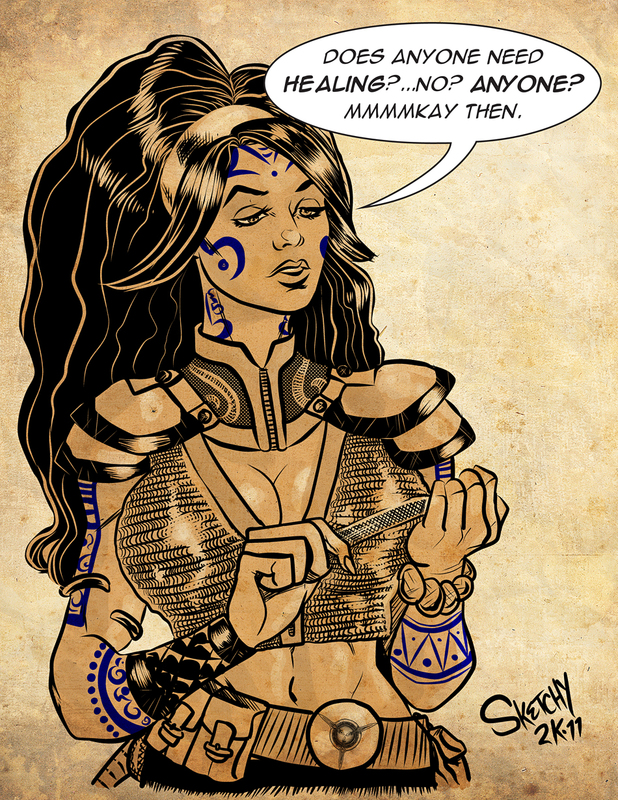 But this suggestion comes only from “generic” magical weapons and armor that have numerical value to them. 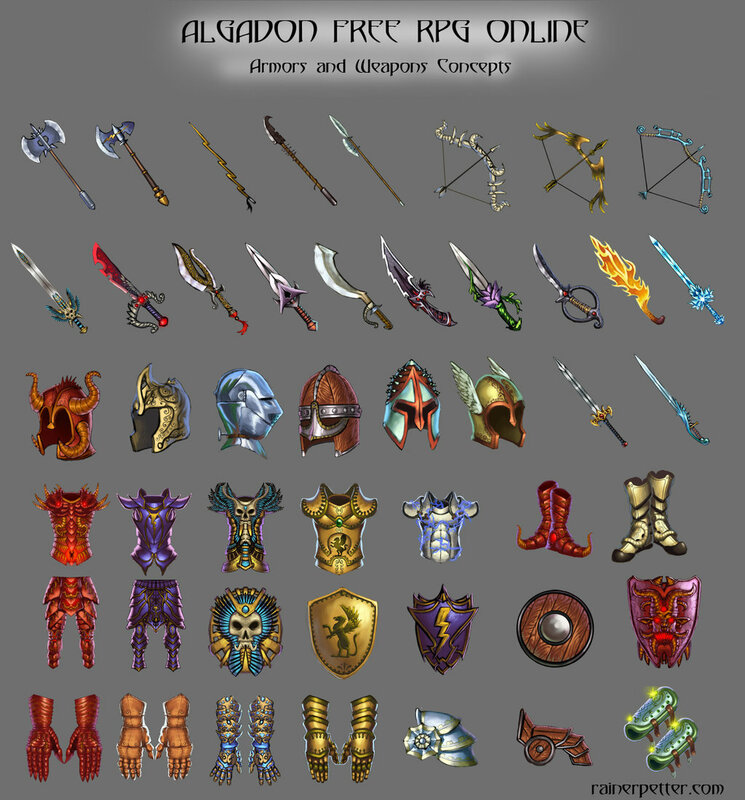 As originally mentioned, naming your weapon or armor can add life to your typical mundane gear. Even magical items such as a longsword +1 can spring to life by calling it Hellcat’s Longtooth. It need not maintain the generic adjective list provided above if players wish to personify their gear. This article is solely for the encouragement to remove the general rule references that make RPGs sound more like a math contest than a fantasy adventure. Change up the wording. Use more description in your dialogue to make the doldrums of everyday chatter a thing of the past.